It’s been 70 years since the defeat of Adolf Hitler and Nazi Germany. Today, it’s hard to imagine what it took to win the war: the human sacrifice, the technology, and the planning. 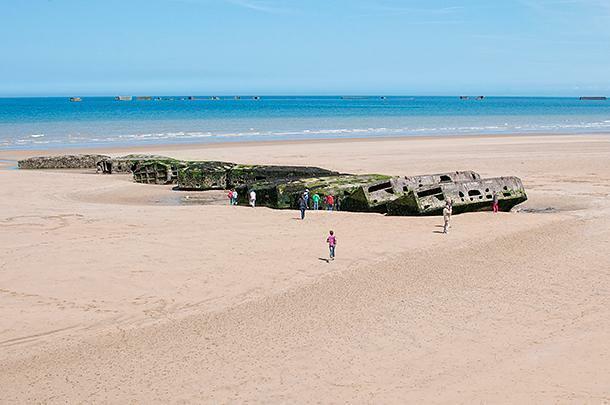 Visiting Normandy and the D-Day landing beaches can help put it in perspective. The Normandy beaches, used for the Allied landings on D-Day, June 6th, 1944, are a popular tourist destination. Visitors from around the world, come to witness the challenges and to remember the men and women who lost their lives in the war. Numerous museums and memorials, both on and off the beaches, have been created over the years to cater to the interests of tourists. Although many of the museums are worth visiting, there are a few that are simply capitalizing on the tourist traffic. Therefore, planning a visit to the D-Day museums requires some research. During our recent visit to Normandy, I had my eye on a few museums. Alison is a good sport about my interest in the two world wars, but I know she can only manage a few of these museums before she gets overwhelmed. I decided to focus on a few places along the beaches (Arromanches, Pointe du Hoc, and Saint-Mere-Eglise) and one further inland (Montormel). Each of these locations was significant during the landings and afterwards: Arromanches is where the British landed and built a temporary harbour, called a Mulberry; Pointe du Hoc is where the American Rangers scaled the cliffs to take out a German gun battery; Saint-Mere-Eglise is famous for the US Airborne assault; and Montormel marked the end of the Normandy campaign and turning point in the war. Of course, as Canadians, Juno Beach is also an important stop, but we visited Juno Beach with my parents back in 2006. The D-Day Landing Museum, in Arromanches, promotes itself as one of the first museums opened to commemorate the D-Day landings, back in 1954. The museum has since been modernized. What I like about this museum is its focus on the effort required to unload and supply the Allied armies once they were ashore. The museum does provide a short overview of the landings, but the models, videos, and exhibits are principally about the process of building a massive, temporary harbour. Having an army ashore meant nothing if it could not be supplied with weapons, food, fuel, and vehicles. To supply the needs of the Allied armies required the use of a major port, but no ports were planned to be captured during the initial landings. Therefore the Allies needed to build a port as quickly as possible. The museum does an excellent job demonstrating the way the harbour was planned, built in pieces, towed across the channel, put into place, and then operated. It was an impressive feat of planning, engineering, problem solving, and cooperation. Today, just outside the museum, you can still see remnants of the harbour on the beach and in the water offshore. The museum really brought home for me just how much thought went into preparing for these landings. The engineering and design of the wharves is impressive. You don’t need a lot of time to visit the museum. Plan to spend an hour there, and then venture out on the beach (if the weather is nice) to check out the remaining pieces of the harbour. Further west, on a point of land jutting out into the sea, is Pointe-du-Hoc. The original D-Day plans called for landings on three beaches, called Omaha, Sword, and Juno. When American General, Dwight D. Eisenhower, took command of the invasion force, he added two more: Utah, an American beach on the far Western end of the landings, and Gold, a British landing zone on the eastern side. He believed adding Gold beach gave the Allies a better chance of capturing Caen, early in the campaign (Caen was actually the Canadian objective for D-Day), and pushing inland. Eisenhower added Utah beach as part of his plan to capture Cherbourg, a heavily defended, deep-water port that would be essential for assisting with the supply operations. By landing at Utah, the Americans could cut across the Cotentin peninsula and squeeze Cherbourg from behind. The two American landing zones, Omaha and Utah, although side-by-side, were separated by quite a distance. Between the two beaches lay Pointe-du-Hoc, the location of large calibre German guns that could reach both beaches and cause havoc during the landings. 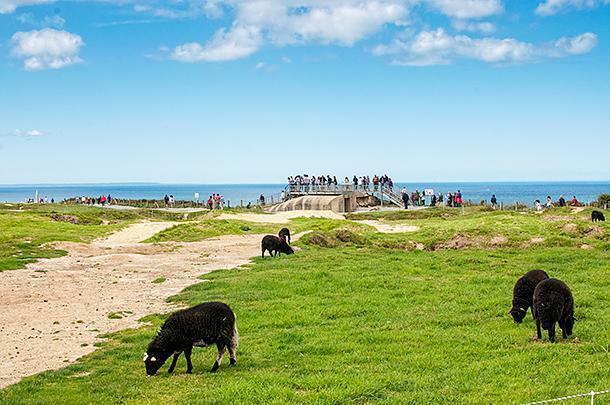 Located on top of a cliff, the site seemed impossible to attack from the sea. In fact, the Germans trusted in the cliffs so much, their defensive positions were almost all facing inland. The D-Day planners, worried about the impact these guns could have on the landings, needed to ensure the guns were destroyed as early as possible on D-Day. This job was given to the US Rangers. Despite the cliffs, the Rangers attacked from the sea and climbed to the top, under intense fire, to take out the German position. Achieving the top of the cliffs, the Rangers discovered the guns had been moved. The Rangers found the guns, hidden in the bushes nearby, and destroyed them. Then they held out against fierce German counter attacks until other US units reached them on June 8th. 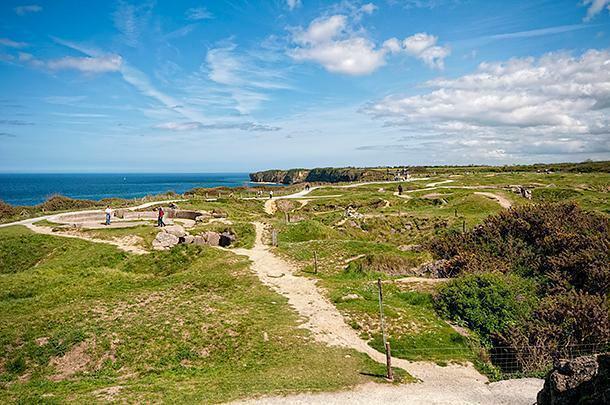 Today Pointe du Hoc is maintained by the American Battle Monuments Commission and the visit is free. Walking out to the point, the landscape is still a moonscape of craters from Allied bombing and naval shelling. Many of the bunkers are open to visit (I would suggest a flashlight if you really want to explore) but the attraction is really the steep and precipitous cliffs. It is hard to imagine how anyone would consider climbing these cliffs a good idea. Only the overhang of the cliff itself provided any sort of cover and even that was liable to collapse after the intense shelling and bombing. Witnessing the empty concrete gun emplacements and the scale of the bunker system, it is easy to see why the D-Day planners were concerned about the impact Pointe-du-Hoc could have on the landings. 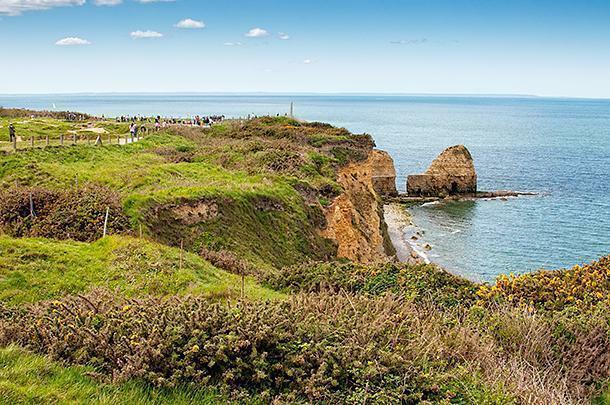 Pointe-du-Hoc is a dramatic landscape and a testament to the soldiers who landed here. The attack on Pointe du Hoc was arguably one of the riskiest missions on a day full of risk, but it is definitely where the US Rangers made their mark in history. The site is also one of the few places you can still witness the results of the landings. On the beaches, very little remains except for museums and some of the Mulberry harbours. But at Pointe du Hoc, the bunkers remain, as do the craters. It is reminiscent of a few First World War sites where the preservation of the landscape gives visitors at least a sense of what happened. And of course there are the cliffs themselves which were (and still are) formidable obstacles. My original intention was to visit the US Paratrooper museum in Saint-Mere-Eglise, but as sometimes happens, fate intervenes. I missed the turn off for Sainte-Mere-Eglise and we found ourselves at the American landing zone, Utah Beach. 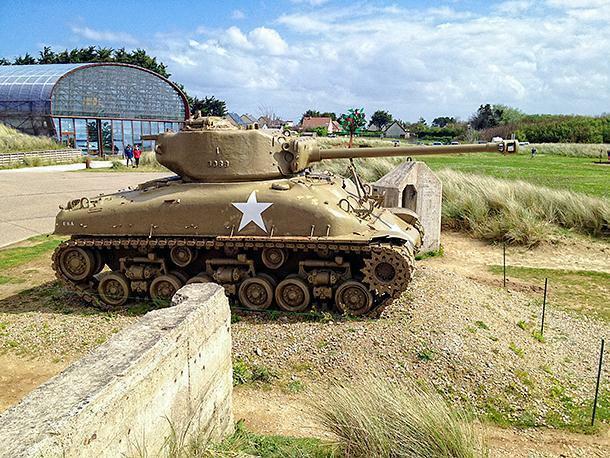 Today, Utah Beach hosts a museum. Rather than turn around, I thought I should at least check out the beach and the museum. I was in for a surprise. The attack on Utah Beach, situated on the far western flank of the D-Day landing zones, was relatively easy. Compared with Omaha Beach, where the Americans faced fierce resistance and challenging terrain, the soldiers landed on sandy Utah beach under relatively light fire. However, the real obstacle lay behind the dunes, where the Germans had flooded the fields, leaving only narrow causeways as exits from the beach. Gaining control of these causeways and knocking out guns, which could fire on the causeways, were key objectives of the US paratroopers. The Utah Beach Museum is built into the dunes, amongst several German bunkers captured as part of the landing. From the outside, it is a very unassuming, concrete building, with a Sherman tank and a field gun on display out front. Inside you still don’t get a real sense of the scale of the museum because the designers laid it out in a series of distinct spaces. 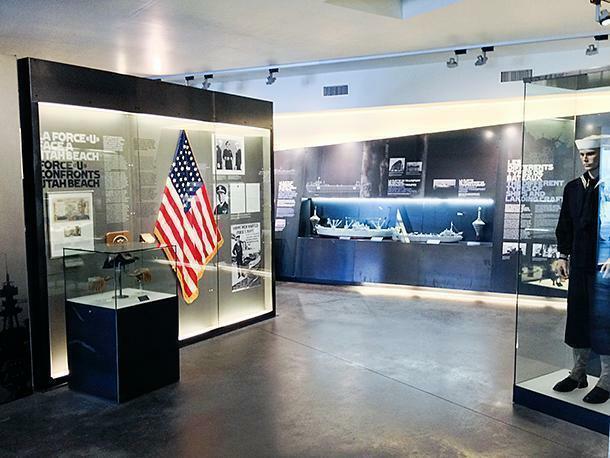 The museum is much larger than it looks and is filled with modern displays. First, there is a display about the building of the Atlantic Wall, followed by a film about the landing itself. From there, the museum begins to open up and visitors are invited to explore the planning, the leadership, the buildup, the training, the different American units, and more. My favourite parts of this museum were the restored Landing Craft (Tank), the gator all-terrain transport, and particularly the B-26 Marauder. All of these I’d read about but never seen. Coming back to the concept of scale again, seeing these things up close give you a better sense of the scale involved. 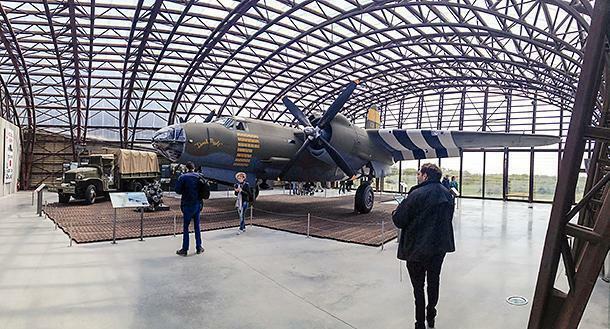 Of all the museums I’ve visited over the years about any of the wars, the Utah Beach Museum is my favourite. 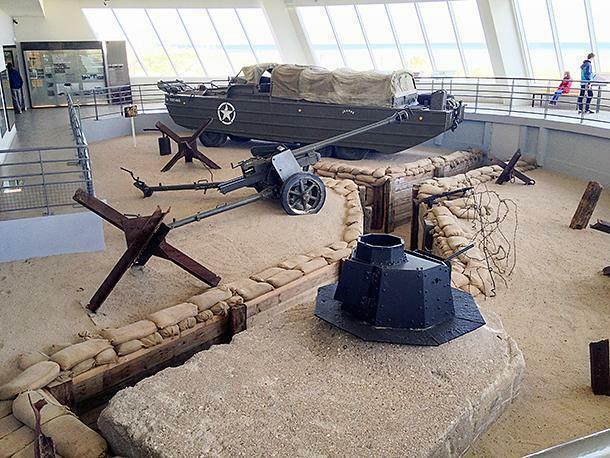 Obviously it is focused on the Americans, but it is a museum which offers a broad overview of the landings and beyond. It also offers various levels of information depending on your interest. If you just want the basics, then you can stick to the larger text panels. If you want detail, get closer and read more. I would allow two hours to fully appreciate the whole museum. 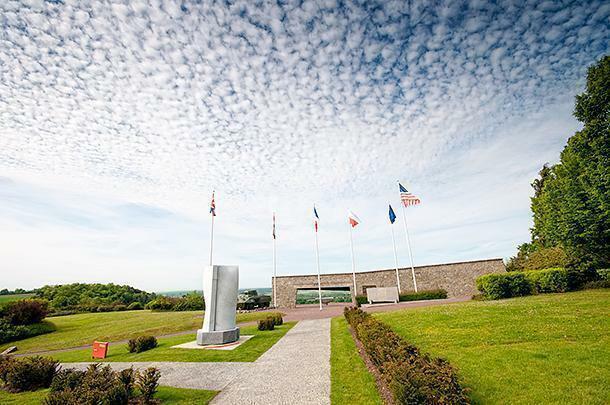 The Montormel Museum, near Falaise, is not on the beaches but it is in Normandy and linked to the landings. By August, 1944, the Canadians and British had finally captured Caen and were pushing inland, while the Americans had broken through towards Avranches and were now attacking inland towards Le Mans. By early August, the Germans found themselves being squeezed into a pocket. The Allied leadership then decided to attempt to close the pocket, by sending the Canadian 4th Armoured Division and the Polish 1st Armoured Division south, through Falaise to Vimoutiers. As the gap between Falaise and Vimoutiers closed, the fighting intensified. It is estimated there were 90,000 German soldiers caught in the pocket, all trying desperately to get out through an ever smaller corridor to the east. The Polish 1st Armoured Division took the high ground above the corridor and fought off numerous attacks and counterattacks. It is estimated that 50,000 Germans escaped the tightening net before the Polish were able to close the door, but that left 40,000 German soldiers who surrendered and all the equipment they abandoned. The courage and determination of the Polish 1st Armoured made the difference and, arguably, broke the back of the German army. After the encirclement, the Germans continued to retreat until they reached the Rhine River. The battle of the Falaise Gap was definitely a turning point in the war. The museum at Montormel is small but powerful. The main display is a combination of a movie and a scale model, which are used simultaneously, showing how the battle evolved. Afterwards, the doors open to reveal windows overlooking the valley in which the fighting occurred, along with a gallery of photos. A museum guide joined us at the windows and showed us the landmarks from the video. He pointed out the location of the bridges the Germans were trying to cross and how narrow a corridor they had to escape. There were limited options for German vehicles, so the roads were choked with destroyed equipment. In fact, our guide explained, it took 20 years before the last vehicle was hauled off to the scrap yard! Unlike the First World War, the battle was so short there was very little lasting damage. I thought the museum’s presentation was fascinating. It doesn’t take long to visit, but you get a clear idea of the situation, the intensity of the battle, and how hard the Polish had to fight to maintain their position. It was also deeply moving for me, because at the time I was reading a book about the Warsaw Rising (August-September, 1944). While the Polish 1st Armoured Division was making a major contribution to the war in Normandy, their countrymen were embroiled in another battle and needed help. How hard it must have been for the Polish men to be fighting a battle on foreign ground when their own country was in desperate need. It is fitting that the memorial at Montormel is dedicated to the Polish 1st Armoured Division for they deserve recognition for their contribution to winning the war, at all costs, even if they couldn’t fight on their own soil. 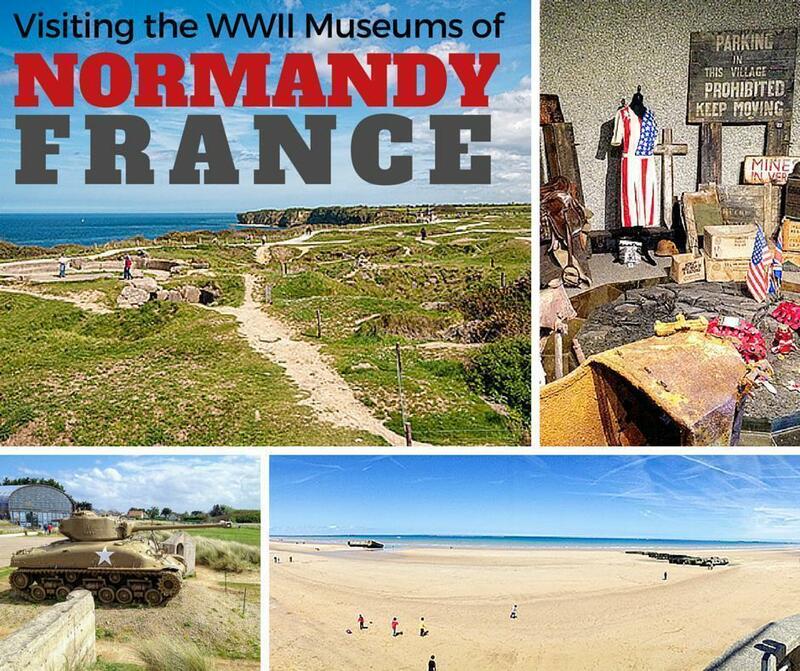 If you are interested in World War II history, you could easily spend a week to ten days visiting the sites in Normandy. Here, the battles raged from June 6th, 1944 until the conclusion of the battle of the Falaise Gap on August 22, 1944. 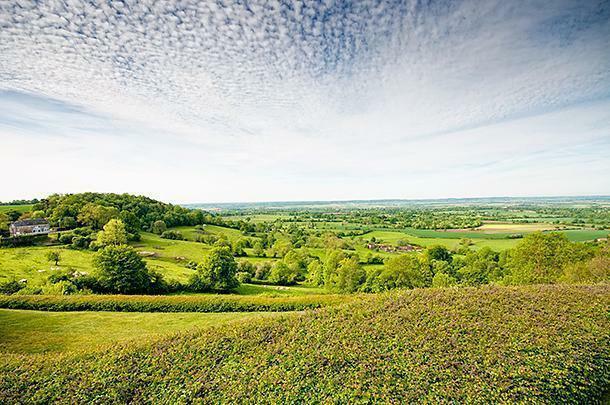 Beyond the museums there are also various bunkers and other sites scattered throughout the countryside. And when you get tired of war history, stop and have some of the famous cheese. Or visit the ruins of Jumieges Abbey, France’s most beautiful ruin. As Alison likes to remind me, there are many things to discover in Normandy beyond the war. 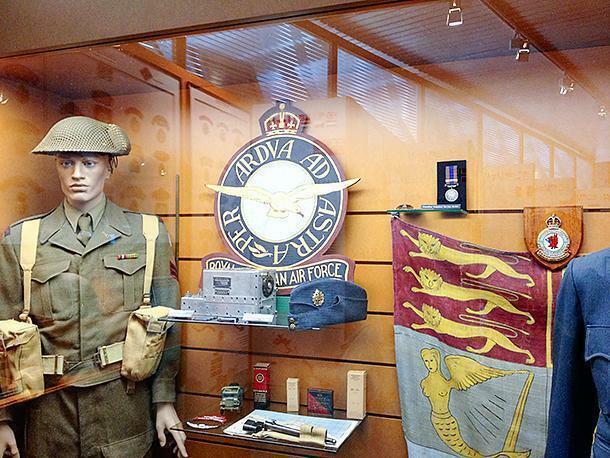 Have you visited any of the Normandy museums about the Second World War? I’d be interested to know what ones you think are worth visiting. Please share your thoughts in the comments below.